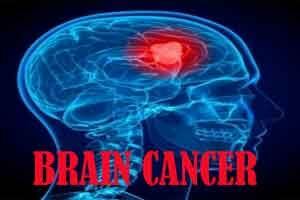 American researchers have found that changes in immune activity can be indicative of a growing brain tumor five years before the symptoms actually surface. Interactions among proteins that relay information from one immune cell to another are weakened in the blood of brain cancer patients within five years before the cancer is diagnosed, said lead researcher Judith Schwartzbaum from the Ohio State University. That information could one day lead to earlier diagnosis of brain cancer, said Schwartzbaum. Symptoms vary and include headaches, memory loss, personality changes, blurred vision and difficulty in speaking. On average, the cancer is diagnosed three months after the onset of symptoms and when tumors are typically advanced. “It’s important to identify the early stages of tumor development if we hope to intervene more effectively,” Schwartzbaum said. This research could pave the way for techniques to identify brain cancer earlier and allow for more-effective treatment, Schwartzbaum said. The researchers evaluated blood samples from 974 people, half of whom went on to receive a brain-cancer diagnosis in the years after their blood was drawn. They evaluated 277 cytokines in the blood samples and found less cytokine interaction in the blood of people who developed cancer. “There was a clear weakening of those interactions in the group who developed brain cancer and it’s possible this plays a role in tumor growth and development,” Schwartzbaum stated. “It’s possible this could also happen with other tumors – that this is a general sign of tumor development,” she noted.